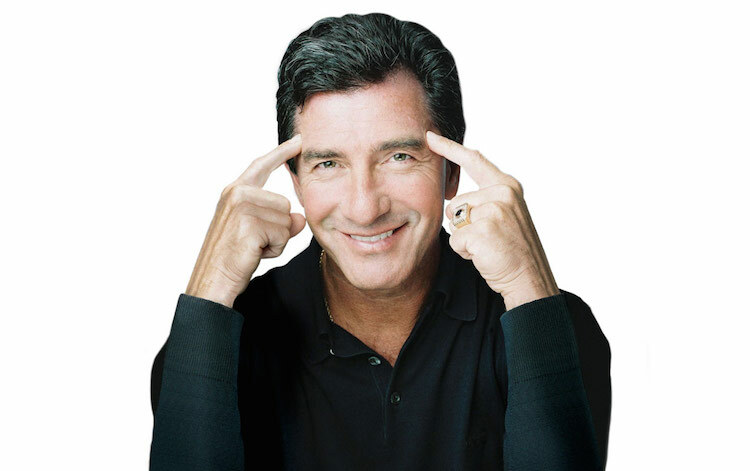 T. Harv Eker is an author, speaker and mentor helping millions of people improve their lives financially. Here are some of his best quotes for improving your life and getting what you want. As we are trying to stretch beyond our comfort zones and achieve things we have never accomplished before, sometimes we get knocked off course. Things come along and try to block our path to success. What matters more than anything is that we always keep our goals in mind, no matter what. Achieving goals is not always easy, but as long as you focus on them and keep moving forward no matter what, you will reach and even exceed them eventually. In this world, giving is never one sided. We receive so we can turn around and give. You must always give not expecting anything in return, but instead knowing that because you gave, someone will be able to give something to someone else. Also keep in mind that in everything you do, you should be doing it with another person in mind. Remember to appreciate the things other people do for you as well, because even if you do not always see it, they are working just as hard as you are. You are the only one who can put a true value on the things you pay attention to. If you do not put time and energy into something, you are automatically implying it does not serve meaning in your life. So if you care about your career, give it meaning by doing things that show how much you care. If you care about your family, give it meaning by doing things that show your spouse, parents, siblings, children etc. how much you value having them in your life. Have you ever felt as though you never get what you want … but realize you don’t actually know what you want at all? This can be confusing, inconvenient and discouraging all at once. In reality, you are the only one who can make things happen for yourself, but you can’t do that if you don’t know what you want. Make a list of things you want to achieve and places you want to be. Once you know what you want, you can take steps to make sure you get it, no matter what it takes. The way you think about the various circumstances of your life changes everything. If you think constantly about the things in your life that make you unhappy, the things you are not looking forward to and all the ways in the past that you have failed, it will become much harder to overcome all of those things. However, if you think of things that bring you joy and that will lead to your success, you are much more likely to achieve happiness and achieve your goals. As you are working and surrounding yourself with other people moving toward similar aspirations, always keep those people as well as the people you hope to serve in mind. The more good you do for the world now, the better off the world will be even after you are gone. Always aim to do good for the world rather than doing something that will bring value only to your own life. While you will not last forever, the positive changes you make in the world might. If you are ever feeling stuck, or that no matter what you do nothing ever changes, you just might have tried doing the same old thing one too many times. It just might be time to try something new, even if you aren’t sure what to do or where you need to begin. You have to dare to move outside your comfort zone and look at things from a different angle. Just because you have always done it one way does not mean it is the only way it can, or should, be done. Sometimes we tend to focus even unintentionally on the most negative aspects of our lives. Gradually those things come to take up more and more of our energy and time. The same goes with the positive aspects, however. The more we focus on the positives, the more those positives consume different areas of our lives. When you focus as hard as you can on the things that really matter to you, especially the good things, they become things that you can really use to make a difference in the world. One common mistake many of us have made numerous times throughout our lives is trying to change things without slowing down to look around and pay attention to what needs changing. Often times what really needs to be changed runs much deeper than a job or a location. Pay close attention to the specific areas of your life that you are unsatisfied with. You must be aware of yourself and the things going on around you if you ever want to promote positive change in your everyday life. No matter what you want to accomplish in your life, you can do it by following the advice of one of the world’s top personal development gurus. Your goals are only as far away as you believe them to be.